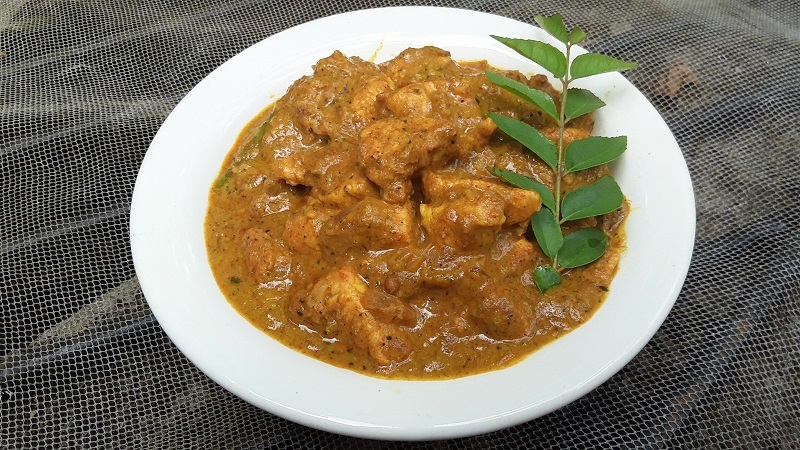 Curry leaf chicken curry is an aromatic and flavorful south Indian especially in andhra chicken curry. Curry leaves have a unique taste. Fresh curry leaves are used in Indian curry leaves. This goes well with naan or rotis. It’s very easy to make. Curry leaves are natural flavoring agents with a number of important health benefits, which makes your food both healthy and tasty along with nice aroma. 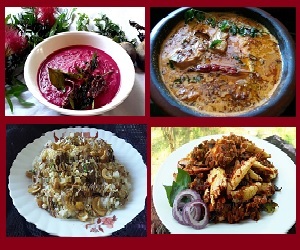 Let’s see the preparation bellow with detailed images. 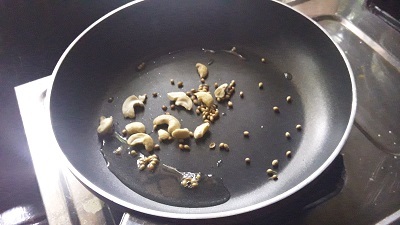 Heat oil in a pan and fry coriander seeds and cashew, just fry it. Then add curry leaves and grated coconut in it. Fry for until the raw smell away from the curry leaves and the grated coconut. Allow it to cool. Then put in blender and make a fine paste, keep it aside. Heat oil in a pan; add finely chopped onions and green chili. Fry for about 2 minutes in low flame. The onion became transparent. Then add our spices turmeric powder and red chili powder. Fry for the raw smell way from the spices. Add chicken pieces that cut in to small pieces, combine well. Add salt to taste, close the lid and cook for about 3 to 4 minutes in low flame. 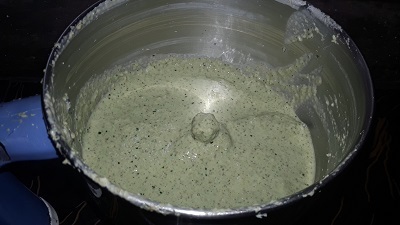 Then add the curry leaves paste and mix it well. Also add water, in this time you can check the salt. Cook for about 2 minutes in low flame. Finely add ¼ teaspoon garam masala powder. Mix it well. 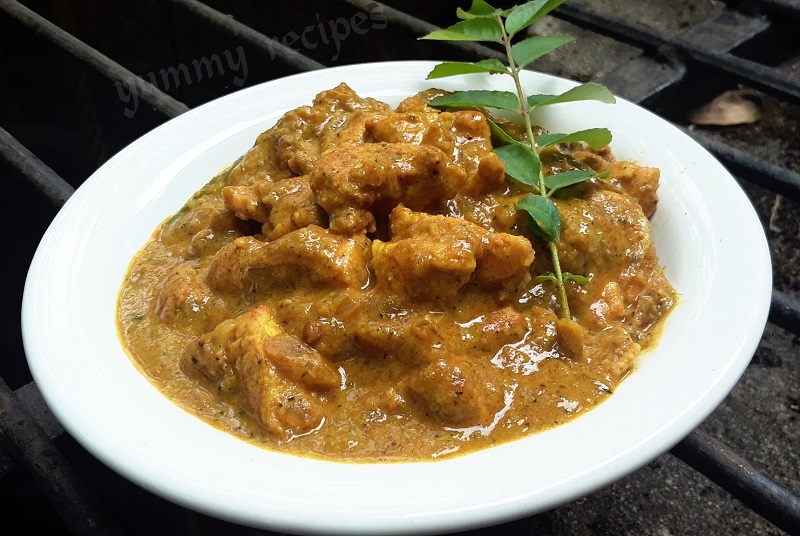 The tasty curry leaves chicken is ready to serve.